Real Texas Smoked BBQ, Beer, and Live Entertainment !! Texas inspired, Memphis influenced, and Alberta perfected, we’re fixin to serve some of the finest barbeque north of the 49th parallel for our fellow Meat-a-tarians !! Our friends from Fitzsimmons Brewery will be providing the venue and an array of their featured beers. The evening will also feature wine and spirits, and live musical performances. 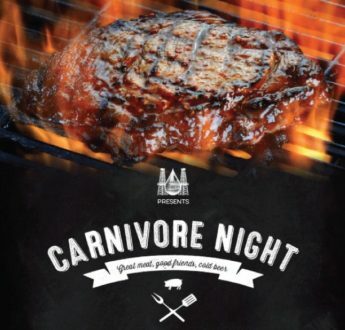 Come and learn about the AOA, our upcoming events, network, and satisfy your primal side by truly experiencing the meat sweats! Individual Tickets are $50 per person, Sponsor Tables of eight (8) are $500, which includes banner placement and sponsor recognition.